14 Ways to Celebrate Pooch Love! You are here: Home / Features / 14 Ways to Celebrate Pooch Love! Valentine’s Day is all about love…doing sweet things for your loved one, spending quality time together and celebrating the bond of love. When we talk about love, can we leave our pets behind? The answer is definitely ‘No’. This Valentine, let’s make our pooches feel special and loved. February 14, Valentine’s Day, is the day to celebrate love. While most of us would be busy planning to spend this special day with our partners or friends, how about including your pooch in this celebration of love. 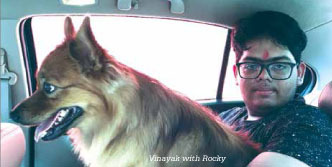 My canine pal Rocky has been my constant companion for almost three years now. He has been with me through thick and thin, successes and failures, mood swings and highs and lows. Never has he complained for anything. Moreover, he finds ways to amuse and surprise me whenever there is a dull moment in my life. He has always welcomed me with a wagging tail and excited jumps, every time I entered my house. So, how can I not celebrate this day of love with him? 1. Start your day with a hug: Start your day with a warm hug. After all the love and laughter they give in our life, they totally deserve a hug! 2. Do something special for your pooch: Every pooch is different; they like different things. What does your pooch like? A home-made treat? A doggie cookie? A soft toy? A day at a spa? Whatever your pet likes, do that for him. 3. Nothing like a treat: Pooches love to eat. There are always a few treats which they die for. Give them the one they like. Make them feel special. 4. How about a toy? Pooches are like children. They love to play. Gift your pooch a new toy. Watch him play with it. 5. Groom him: It’s a special day. Groom your pet. Give him a bath if necessary. Brush his coat and his teeth. Take care of his toes and nails. Let him shine on this beautiful day! 6. Add a swag item: Buy him a nice collar, bandana, ID tag or a coat. Let him flaunt his new possession. 7. Teach them a new trick: Dogs love to please us. Teach them a new trick and they will be happy to see you happy. 8. Sparkle his space: Your dog also likes a clean and warn place to sit and sleep. Clean his bed, put his mattress in the sun and wash his beddings. 9. Let them sniff around: All dogs love to sniff around. Take them out for a walk, let them sniff to their heart’s content. 10. Visit your vet: If you haven’t taken him to a vet for quite sometime, then this is the day to do it. After all, health is wealth and prevention is always better than cure. Talk to your vet if he is lacking nutrition in his diet. Work out a balanced nutritious diet for him. 11. Read a book together or watch a movie: Most dogs love to stick around their human friends. Read a book together, let them be close to you. If you are not into books, how about a movie flick, that too with canine characters? 12. Take him out to meet his four-legged friends: If your pooch eyes another pooch next door. How about a small meet? Just do check with your neighbour first. 13. Help a stray: Strays also need our love and attention. If you find a stray in need of food, bedding, vaccination, etc, help him. 14. How about a photo shoot? Some dogs are born posers. Click a few pictures together and share them with your near and dear ones. 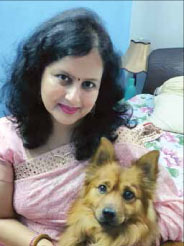 TOLFA’s mantra is ‘healing from the heart’ Causes of Canine Alopecia!